If you're a fan of the beloved Street Fighter series, then this is something that's going to make you smile a little. On the Capcom-Unity blog yesterday, there was a very interesting entry on a list of merchandise that would be available at PAX East 2015. The list said: "Everyone is fired up for Street Fighter V coming to the PS4 and PC next Spring," which would undoubtedly break the silence over when the next installment for Street Fighter would be released. From this listing, we can speculate that to be sometime in Spring of 2016. Polygon reached out to a Capcom representative for a statement regarding the information posted on the merchandise list and they were given the following reply: "What was listed was just a tentative release time and no official announcements have been made." That's enough information to back up the fact that this listing was not an error, and that the release is going to happen. There is currently no other information available about the actual release, other than it will be exclusive to PS4 and PC. 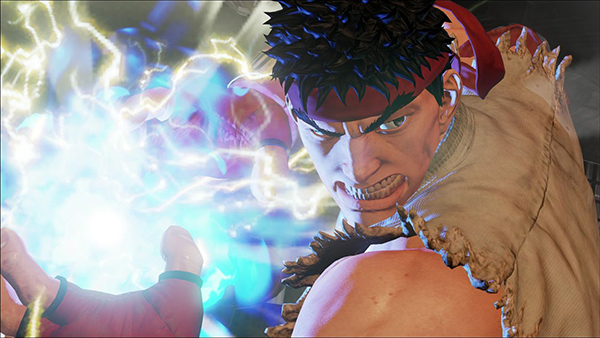 For those who pre-order Street Fighter V, you'll be able to participate in the "largest and most ambitious online beta program in franchise history." I for one enjoyed playing Street Fighter IV with my friends, even though I'm not too good at the game. I do know, however, that there are a lot of avid players out there, and dedicated lovers of the game. It's a good sight to see that the game will be joining us in the Next Gen playground. How many of you guys are going to be playing? Let us know below!